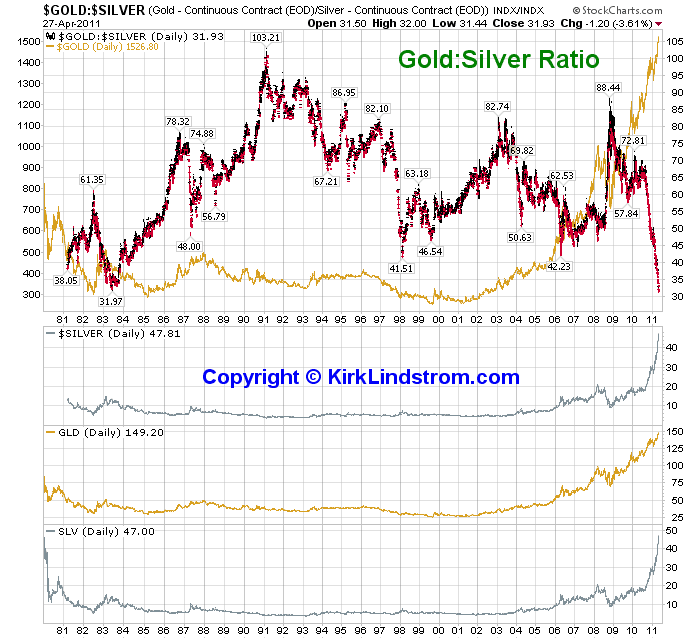 With the price of silver soaring faster than gold, the gold-silver price ratio has plunged below its 1983 low of 31.97. The gold-to-silver price ratio, defined as the price of an ounce of gold divided by the price of an ounce of silver, closed Wednesday (April 27, 2011) at 31.93. This means an ounce of gold is now less than 32 times more expensive than an ounce of silver. 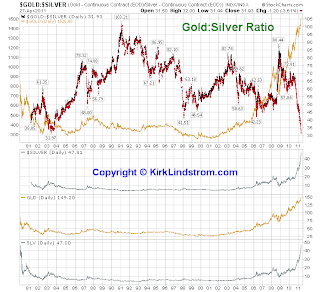 Just four weeks ago, on March 31, 2011, the gold-to-silver price ratio was 37.98 when an ounce of gold was nearly 38 times more expensive than an ounce of silver. Current Holdings: Personally, I own a very small amount of gold and silver hidden in the house for bribes if we see Armageddon. I also own silver and gold coins mostly as a collector but they would serve as currency in a disastere. For inflation protection, I own individual TIPS "treasury inflation protected securities" and Series I-Bonds. 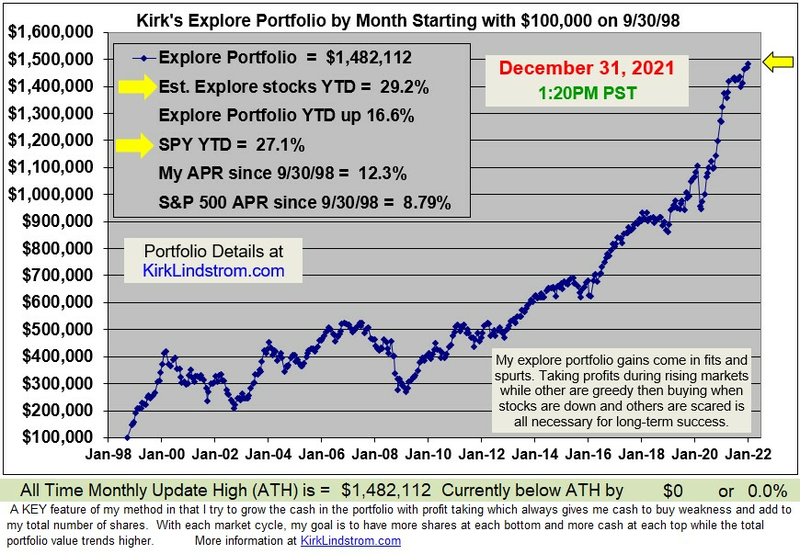 I recently sold my managed TIPS mutual funds (FINPX and VIPSX) after the recent surge in TIPS had the spread for the 5-year near record negative lows and used some of the funds to buy a new, individual TIPS with a positive return relative to inflation. If the base rate for 5-year TIPS returns to a positive level, I may buy the TIPS ETF TIP rather than the managed funds I recently sold. I can use this to make drinking water from all the swimming pools and hot tubs near me plus the creek around the corner. I can then trade the drinking water for food and fuel if my extra supplies in my "earthquake kit" run out. The top CD annal percentage yield (APY) this week is at Discover Bank for a 10-year certificate of deposit currently paying 3.00%. With the 10-year US Treasury paying 3.36%, there is little incentive to lock up money for 10 years at banks. For shorter periods, like one to five years, you do better with bank CDs. For example, the Pacific Mercantile Bank currently pays 1.26% for their 1-yr CDs while the 1-YR US Treasury only pays a minute 0.20%. With rates so low, banks will try to sell you their annuity products. 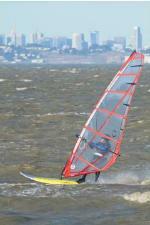 Make sure you read my article: Beware of Annuities. The table below shows the best CD rates for other terms. If that table is hard to read, then try Very Best CD Rates. "Highest CD Rate Survey + Current US Treasury Rates"
On Tax Day, Libertarians call spending compromise "travesty"
Libertarians call spending compromise "travesty"
"Just in time for Tax Day, the Republicans and Democrats in Congress have joined hands to clobber American taxpayers. "This is happening at a time when federal spending and deficits are at unprecedented high levels. Federal spending this year is expected to be about 5 percent higher than last year. This is a travesty. "In 2000 under Bill Clinton, federal spending was $1.79 trillion. This year it's expected to be at least $3.63 trillion. "Neither Democrats nor Republicans have made any serious proposals to change the course of the federal government. In particular, both President Obama's and Congressman Ryan's 2012 budget proposals are absurd. I fear that America will soon be overtaken by events. Inflation, high interest rates, high unemployment, and probably other unforeseen problems will start to force everyone's hand. One way or another, people aren't going to get what they have been led to expect. "Unless American voters stop supporting Republicans and Democrats very soon, and start supporting Libertarians and Libertarian policies, I believe our future, and the future of our children and grandchildren, will be bleak." The Cato Institute has produced a short video about the bill, "Obama/Boehner's Phony Spending Cuts." The LP is America's third-largest political party, founded in 1971. The Libertarian Party stands for free markets, civil liberties, and peace. You can find more information on the Libertarian Party at our website. Two months ago I pointed out in a Seeking Alpha article that the Dow-Gold Ratio had reached a level of strong resistance. Dow-Gold Ratio Now at Strong Resistance, Will It Break Higher or Lower? The Dow-gold ratio is defined as the ratio of the price of the Dow Jones Industrial Average divided by the price of gold. At Thursday's close of 8.51, the Dow Jones Industrial Average, measured in how many ounces of gold it takes to buy the 30-stock Dow, is up 21.1% from its 17-year March 6, 2009 low of 7.03. But, as the chart below shows, the ratio has been in a fairly flat, two-year trading range as it moved from long-term support to resistance. Despite good gains for the Dow since March 2009, the Dow-gold ratio remains just above its March low and 81% below its 1999 peak of 44.77. 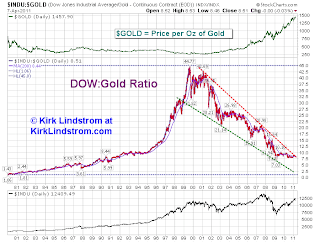 Read the rest of my article at Dow-Gold Ratio Following Strong Resistance Lower, Will It Continue? Apr 8 Dow-Gold Ratio Following Strong Resistance Lower, Will It Continue? Feb 7 Dow-Gold Ratio Now at Strong Resistance, Will It Break Higher or Lower? += Some data points for Money Market Fund flows are missing but the overall trend is clear. Article by ECRI's Lakshman Achuthan and Anirvan Banerji. ECRI is an independent institute dedicated to economic cycle research in the tradition established by its founder, Geoffrey H. Moore, whom The Wall Street Journal called "the father of leading indicators." 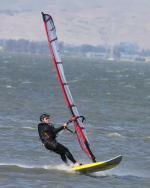 Read "More about ECRI." In early March, former Fed Chairman Alan Greenspan was asked to comment about ECRI's long-held criticism that the Fed is chronically behind the curve on monetary policy because its forecasting models are based on core inflation and the output gap, rather than forward-looking inflation indicators. With respect, Mr. Greenspan is wrong. By using good cyclical indicators, you can – and we do – correctly forecast when inflation is about to take hold. And it’s precisely because the Fed – first under Mr. Greenspan and now under Mr. Bernanke – adamantly believes that inflation turning points can’t be predicted, that the current U.S. recovery stands in danger of being snuffed out prematurely. ECRI’s future inflation gauges – which, unlike econometric models, monitor the evolution of self-feeding cycles in inflation – are designed to do just what Mr. Greenspan says can’t be done. Specifically, they are more direct measures of underlying inflation pressures that signal the timing of upcoming inflation cycle turning points. In fact, they also anticipate inflation expectations. Mr. Greenspan says that by watching inflation expectations the Fed can forecast inflation no better – but no worse – than ECRI, yet the real-time records are quite different. This disconnect underscores a fundamental misconception among policymakers, that because inflation expectations can’t anticipate inflation cycle turning points, it can’t be done. Over the past decade, such misperceptions have led to serious errors in monetary policy timing. 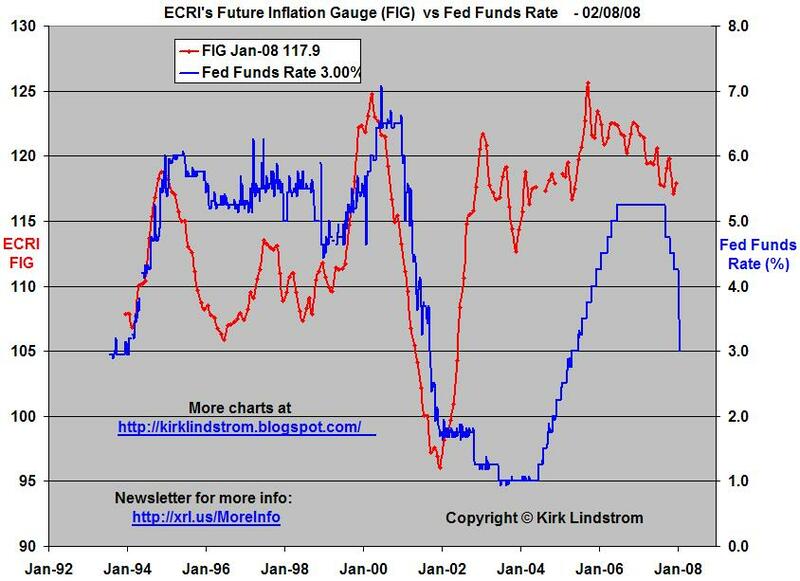 For instance, in June 2003, the Fed cut rates to 1% as “insurance” against deflation, when, based on our Future Inflation Gauge (FIG), we had ruled out any deflation risk. The housing bubble then inflated further, and commodity prices rose. In June 2008, six months after the recession began, a hawkish Fed was telegraphing rate hikes exceeding 100 basis points by year-end, according to the Fed funds futures markets. At that time, the forward-looking FIG was indicating the absence of any sustained inflation threat. Just last summer, blindsided by a growth slowdown clearly foreseen by our leading indexes, the Fed abandoned its “exit strategy” rhetoric. Doing an about-face, it launched the second round of quantitative easing to guard against a newfound “tail risk” of deflation. Again, the FIG offered a different conclusion, having ruled out any deflation risk by late 2009. The Fed’s ongoing reliance on inflation expectations, along with core inflation and the output gap – which Mr. Greenspan agrees don’t work – strongly implies that they have no workable tools to decide when to pull back on stimulus. Their incoherence about policy timing is rooted in the belief expressed by Mr. Greenspan that forward-looking indicators of inflation can’t tell when inflation is about to take hold. Mr. Greenspan and his successor, Mr. Bernanke, are top-notch economists in an echo chamber where they are surrounded by other economists, who all tend to believe, deep down, that the best forward-looking information must be found in market prices. This is an economist’s mistake. Even in the face of compelling evidence that markets aren’t the best predictors of what’s around the bend, it’s really hard for economists to abandon their basic world-view. This keeps the Fed chronically behind the curve. The “insurance” taken out by the Fed has been far from costless, especially in terms of the collateral damage from unintended consequences. Yet, damaging as it might have been in the past, the sheer size of the Fed’s current balance sheet makes it more critical than ever to improve the timing of monetary policy shifts. As U.S. economic growth begins to revive, the long-term jobless rate, which is still around record highs, remains a festering sore. However, it’s obvious from a scrutiny of past cyclical patterns that only a long economic expansion – like those in the 1980s and 1990s – can heal that wound. Central bankers need to stop clinging to policy orthodoxy and pay attention to proven cyclical leading inflation indicators that can actually tell them when inflation is about to take hold. Otherwise, if a well-meaning Fed stimulates the economy for too long, it will let inflation and/or asset prices get out of control, fostering boom-bust cycles that keep long-term unemployment at elevated readings as each short boom ends with a bust that pushes the jobless rate back up. So, if the FIG takes off, watch out!